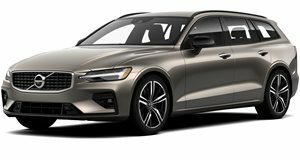 Volvo has seriously upgraded the range on both the C30 and the S60 models in an effort to expand their vehicles' reputation for being both safe and green-friendly. If there is one thing we have learned about range extenders over the last few years, it&apos;s that there are range extenders and then there are Volvo range extenders. Volvo released in May some details about their Flywheel Kinetic Energy Recovery System (KERS) hybrid system. The Swedish automaker has now turned their attention towards developing range extenders to their electric cars, with the audacious claim that they could get at least an extra 620 miles of range. Volvo&apos;s experiments consist of using three different three-cylinder gas engines and electric motors. Brake energy regeneration is a common theme on the three models. "This is an exciting expansion of our increasing focus on electrification. Battery cost and size means that all-electric cars still have a relatively limited operating range. 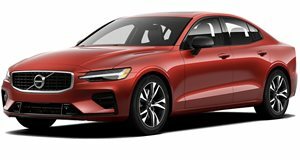 With the Range Extender, the electric car has its effective range increased by a thousand kilometers - yet with carbon dioxide emissions below or way below 50 g/km," said Derek Crabb, Volvo&apos;s VP of Powertrain Engineering. The V60 wagon platform features a parallel-connected range extender all packaged underneath the hood. The concept uses a turbocharged 190hp 3-cylinder engine paired with a 40kW generator and 111hp electric motor. Running solely on electric, the car can hit a speed of 31mph. Once it surpasses 31 mph, the gas engine pushes the front wheels through a two-stage automatic transmission. The engine also serves to recharge the battery pack when it drops below a certain point. The Volvo V60s total range is claimed to surpass 620 miles and comes with an 11.9 gallon fuel tank. The C30 Electric based first concept uses a series-connected range extender which uses a naturally-aspirated 60hp 3-cylinder engine. The engine is mated to a 40kW generator which powers the cars 111hp electric motor. Volvo estimates that the range extender can increase the C30 concept&apos;s range by as much as 620 miles over the original 69-mile range of the battery pack alone. An option also exists to recharge the battery using the generator to continue running on pure electric. The C30 Electric based second concept boasts a total 301hp and runs a similar parallel-connected range extender to the V60. A turbocharged 190hp 3-cylinder engine uses a six-speed automatic transmission to drive the rear wheels. With the use on an internal combustion engine, Volvo claims it is much more efficient on the highway. It is hooked up to a 40kW generator and the combustion engine charges the battery pack which powers the 111hp electric motor that runs the front wheels. Performance for the second concept isn&apos;t too shabby, capable of accelerating from 0-62mph with a sub-six second time. The range extender increases the car&apos;s range by over 620 miles past the pure electric 46.5 mile range. Eight partners from the EU have collaborated to develop the range-extenders. Volvo is the only automaker and they are being developed with grant money in the range of $1.7 million from the Swedish Energy Agency.